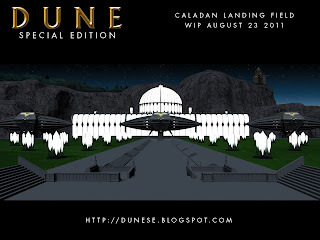 Here is an update on the Caladan Landing Field. Everything is still in progress but SLOWLY coming together (Working on a SyFy channel original movie right now so time is very limited). I still think I prefer the crystals to the fountains though but will have to see how each looks. Good afternoon, I LOVE the fact that you're doing this, and it should prove interesting, my only complaint thus far is the Ornithopter itself, and I do not mean this negatively. 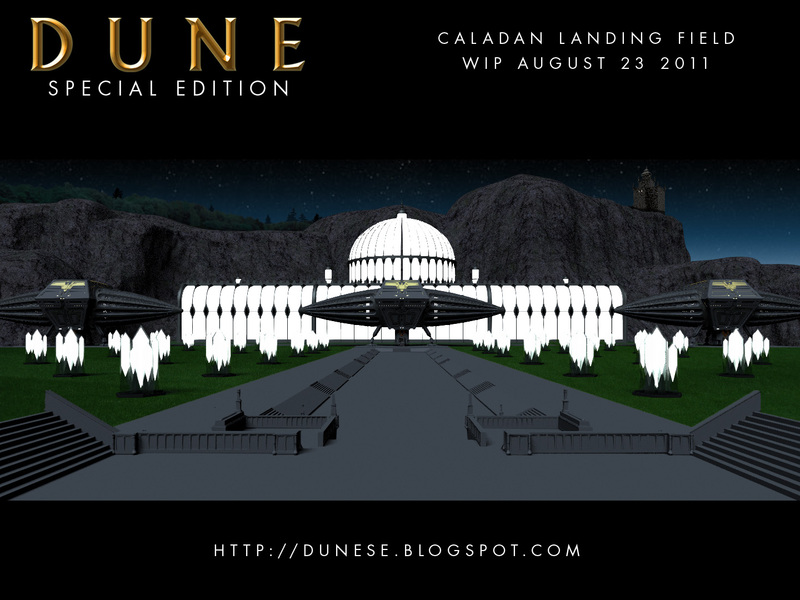 However, the wings do seem a bit small and far back, which would render the vehicle front heavy. The thopter design is closely based on the original design in the movie but I really didn't want them to look like "helicopters with wings stuck on". The original model featured a "dish" on the underside... My design places a jet/anti gravity device in the dish to counter balance the weight of the craft.